Chevrolet has published a few pictures with the all-new 2017 Chevrolet Cruze Hatchback. The car will be showcased during the 2016 Detroit Motor Show and it will go on sale this fall. 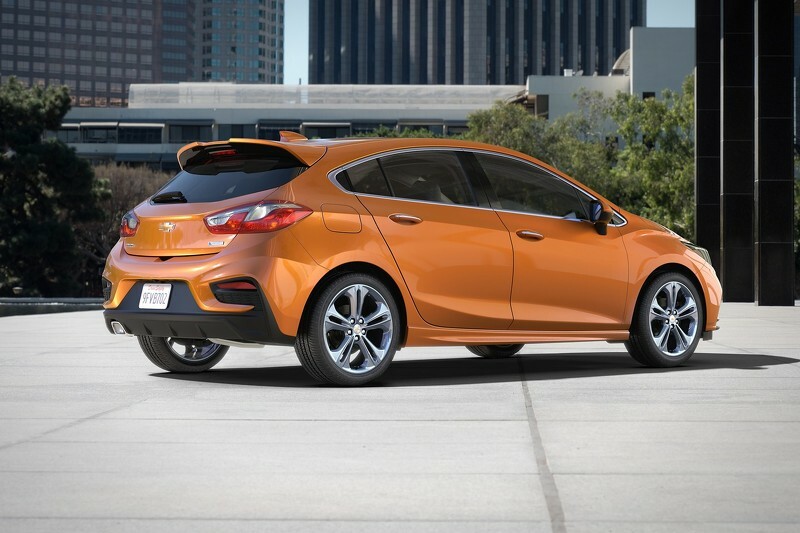 According to the US-based car manufacturer, the new 2017 Chevrolet Cruze Hatchback will have a class-leading wheelbase of 106.3 inches (2,700 mm). On the exterior you can find a massive spoiler and a modified roofline in order to deliver a more sporty and youthful look. If you have a big family that you can count on the trunk. In the normal form it has 18.5 cubic feet (524 liters) but when you fold down the rear seats you will get 42 cubic feet (1,198 liters) of luggage room. Inside the cabin of the 2017 Chevrolet Cruze Hatchback you will find an infotainment system that is compatible with Apple CarPlay and Android Auto. There are also lots of safety and assistance systems and goodies like heated seats and leather accessories. Under the hood of the 2017 Chevrolet Cruze Hatchback will be the same 1.4 liter turbocharged four-cylinder engine. It can deliver 153 horsepower at 5,600 rpm and 177 pound-feet (240 Nm) of torque from 2,000 rpm. The unit is coupled to a six speed manual transmission but you can also chose a six speed automatic one. Unfortunately, Chevrolet hasn’t announce the performance of this model but we do know that the sedan can run from stand still to 60 mph in just eight seconds. If you are looking for the trim versions, you should know that the 2017 Chevrolet Cruze Hatchback will be available in the LT and Premier ones, with the RS package also on the option list. For now, Chevrolet hasn’t announced the price of the new 2017 Chevrolet Cruze Hatchback but it will stay close to the $21,995 tag of the Cruze Sedan LT.